Short overview about NewEast Biosciences products for G protein research. 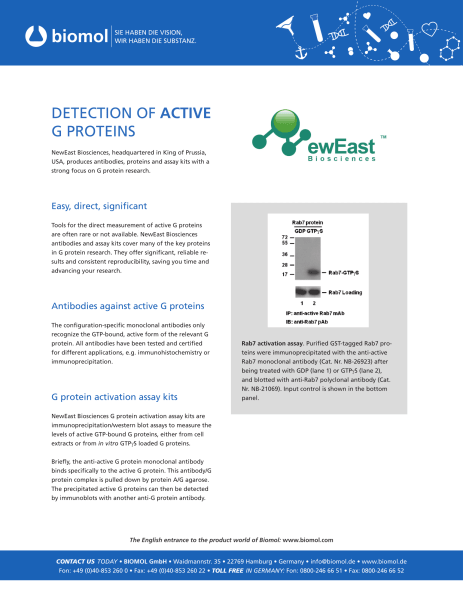 The list includes antibodies against active G proteins and G protein activation assay kits. Updated February 2016.